Spring is in the air and Easter is just around the corner. This is such a happy time of year. I have been outside with the kids for the past couple of days and everyone is breathing in fresh air and in such good spirits. 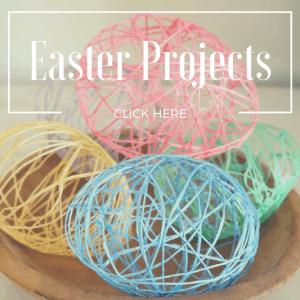 Today I am sharing a fun, kid friendly, Easter craft that Little Lady and I did during the little time we spent inside this week. 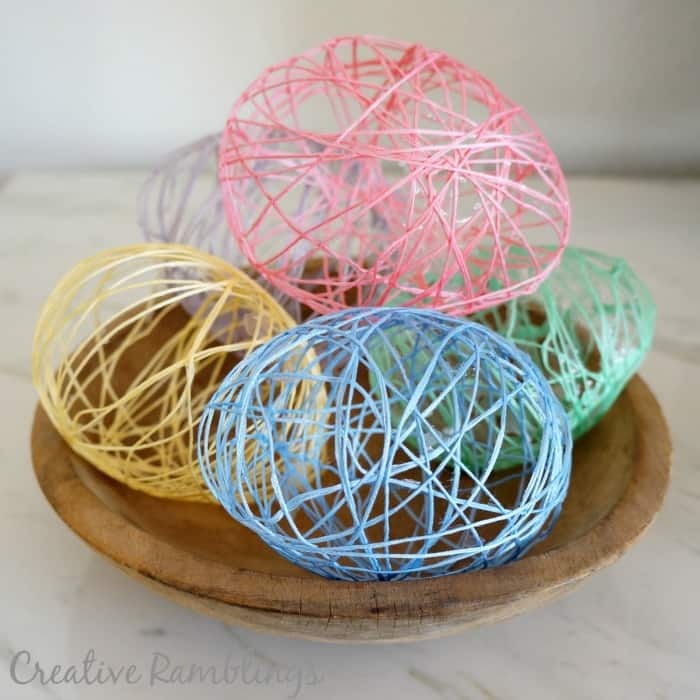 These String Easter Eggs were messy, which the kiddo loved, but relatively simple to create. 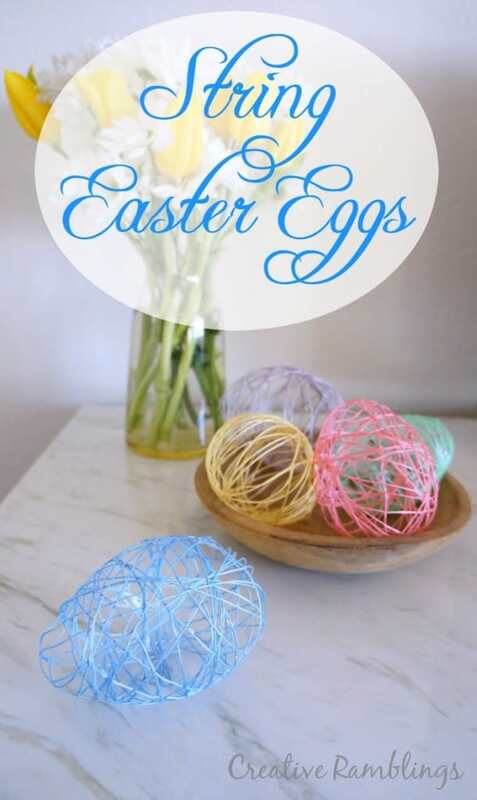 The process is simple; blow up a balloon into an egg shape, cover string in Mod Podge, and wrap around the balloon. Let the egg dry then pop the balloon! 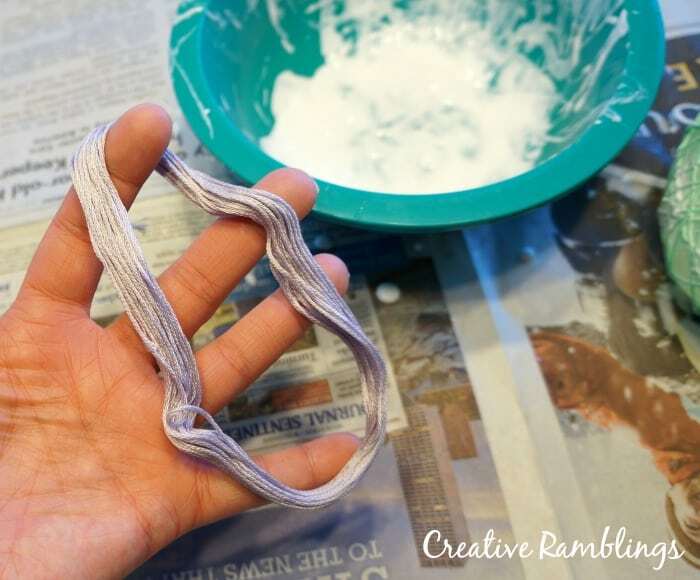 Untangle your string first and lay it in a loose circle in the bowl of Mod Podge. 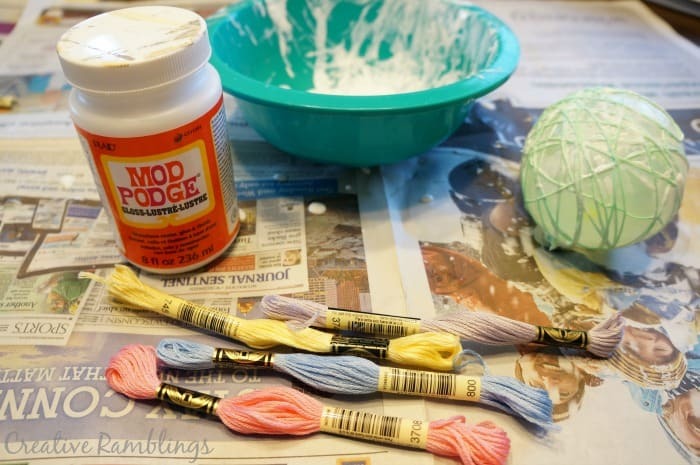 As you wrap the string around the balloon, pull it through your fingers and squeeze some of the excess Mod Podge off. Pull the string taut around the balloon to help it stay put. Wait until the balloon and string are completely dry before popping the balloon. When you pop it, the fun part, there will be excess Mod Podge left between the string. If you are careful to squeeze most of it off before wrapping the string there won’t be much. These are adorable. I must get the supplies to try this over the weekend!